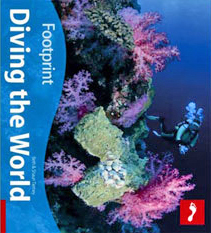 Diving the World has been translated into Polish and was published by National Geographic. ESSENTIALS | planning a dive trip; budgets and costs; guide to airlines, baggage and packing; scuba diving equipment. 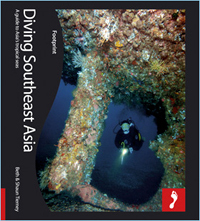 TALES FROM THE DEEP | stories from both dive professionals and ordinary divers relating their underwater experiences and favourite dive sites. DRYING OUT | things to do on the days when you have to stop diving, or if you are with a non-diving partner. Places to stay, trustworthy diving operators and liveaboard boats. health and first aid for divers; underwater photography. The Tierneys include colorful, personal anecdotes about each destination, so reading their book feels more like peeking into their private memoirs than paging through a published travel guide. Press this button to go to PayPal, a secure payment system that will allow you input your credit card details. UK second class postage is included. These rates are for UK sales only. If you are outside the UK, please contact us. SEARCH SeaFocus | Looking for something on this site? Type in a few words and google will take you there.